Hint: you want more than just a paycheck. As you go through the part-time job search and interview process, you’ll come to find that you’re not the only one being considered for a job opportunity. You’re actually working to discover if the role, place of employment, manager and team are right for you. As you apply and interview, keep these things in mind to find the perfect part-time job for you. Environment While you won’t get an in-depth glimpse into your potential place of employment before you start, there are ways to glean whether the workplace has a positive environment. During the part-time job interview process, you’ll be able to see the manager and employees work and communicate with one another. How does the supervisor treat the employees? Is he or she more like a commander with subordinates? Or does everyone look more like a team? You can also get an idea of what type of boss you may be working with as he or she interviews you. Do they talk about open lines of communication between themselves and the other employees? Are they flexible with work hours, especially if you have an academic schedule to balance with work? How do they handle conflict in the workplace? Does the team get together outside of working hours? These answers can inform you if the boss has created an environment where everyone feels comfortable, satisfied and valued. Learning Opportunities There’s more to get out of a job than a paycheck, especially a part-time job. These types of jobs are the launchpads for your future career. Therefore, it’s important to find a position that provides plenty of learning opportunities. If this is the type of experience you want, you need to communicate that to the manager during the hiring process and not after. Ask questions during the interview about how this particular role can help prepare you for future full-time work opportunities. It’s also beneficial to ask if you can job shadow certain roles while you’re employed there if the company or the industry interests you. Finally, talk with the manager about responsibility and freedom within the role – what are your responsibilities? Are you able to perform in a way that works best for you – or is there strict protocol in how you carry out the functions of the role? Opportunities for Advancement While you may be searching for a part-time job, that doesn’t mean you’ll always have to work at the bottom of the totem pole. Plenty of part-time roles allow for employees to advance to part-time managers and supervisors. During the hiring process, ask about the hierarchy in the company and what is required to move up. Advancement comes with an increase in pay, more benefits and greater schedule flexibility. If moving up within this place of employment is of interest to you, talk about that in the job interview. If you’re interviewing for a company or industry that interests you, it’s also worthwhile to start conversations about post-graduate opportunities. Have previous employees come back to work for the employer – or gone on to work for corporate? How can this role prepare you for opportunities like that? 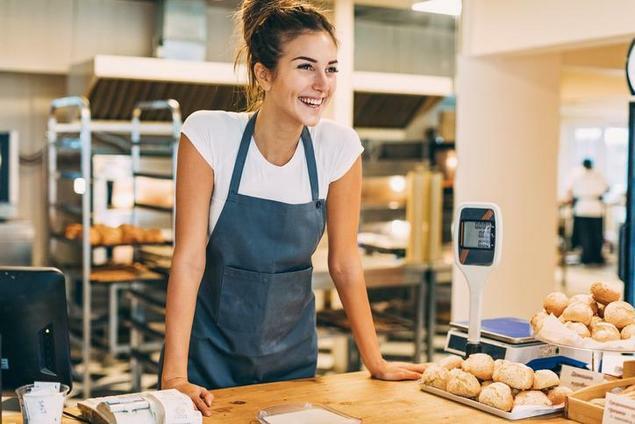 After you start your first part-time job, it won’t take long to realize that the experience is about more than just a paycheck. From enjoying your time and the people at work to laying a foundation for your eventual career path, the right part-time job can offer a variety of benefits. That’s why it’s important for you to consider these factors before you land your first part time job.